In the past ten years or so, the landscape concerning employee hiring has changed dramatically. Instead of hiring new employees, companies are hiring independent contractors and consultants for specific projects. It is pretty much common knowledge that companies’ bottom lines are the reason behind the surge in hiring independent contractors instead of hiring new employees. Since these independent contractors/consultants are hired for a specific project, the company saves a fair amount of money, since they probably will have to pay zero towards any benefits for this person. With this new direction that companies have taken, one definite result is that there is a boom in which former employees have now become independent contractors/consultants. If your Las Vegas/Clark County NV company provides a professional service such as Project Managers, Media Consultants, Management Consultants, Event Planners, Web Designers, or one of a hundred additional professional operations, then acquiring a Professional Liability Insurance Policy is extremely important in protecting your company against a claim being filed against it for any actual or alleged damages due to your company’s error for provided services. Regardless of what professional service your Las Vegas/Clark County, NV company performs, acquiring Professional Liability Insurance Coverage is a must for protecting your firm! Also, please note that in almost all General Liability Insurance Policies, there will be an endorsement excluding Professional Liability Coverage. When discussing insurance coverages with our clients who are independent consultants, we urge them to carry both general liability and professional liability insurance as part of their insurance program. When deciding what limits of insurance would be best for your company, it would be wise to review what risks your company will be exposed to in the coming year, taking into account your current lineup of clients that you do business with and what potential clients you are looking to add in the coming year. Now, since you are an independent contractor and on your own, risk wise, it means that you or company will be responsible for any claim or lawsuit filed against it, so not preparing ahead and acquiring the right amount of coverage could mean that your company may not survive a lawsuit or, worse yet, a judgment being awarded against you as the result of a claim. Acquiring a Professional Liability Insurance Policy can provide protection against your failure to perform, financial loss, and error or omission of the products or services sold or provided by your company. Also, you may want to consider purchasing additional coverages that may be beneficial to your company such as: breach of warranty, intellectual property, and cost of contract. Typically, in most cases, a General Liability Insurance Policy will only cover a claim from property damage, bodily injury, personal injury, or advertising injury. Professional liability Insurance Coverage is a form of liability insurance that will help protect individuals or companies for professional advice and services provided by them from bearing the full cost of defending against a negligence claim made by a client and damages awarded in such a civil lawsuit if they should be awarded. This particular type of Professional liability insurance coverage focuses on alleged failure to perform on the part of, financial loss caused by, and error or omission in the service or product sold by the policyholder up to the limits of the policy. In almost all instances, Professional Liability Insurance Policies are issued on a claims-made basis or claims-made and reported basis, which means that the policy will only cover claims made and reported during the policy period after the retroactive date. Specifically, most Professional Liability policies provide indemnity to the insured against loss arising from any claim or claims made during the policy period by reason of any covered error, omission or neglect, error or omission committed in the conduct of the insured’s business during the policy period up to the limits of the policy. Please be aware that any claims that may relate to an incident that occurred before the coverage was effective or prior to the retroactive date may not be covered. In a career as a Professional Consultant, either as a company or as an individual, it is expected by your clients that you have extensive technical knowledge or training in your area of expertise in performing the services for which you or your firm were hired according to the standards of conduct in your chosen professional field. Any failure in this level of skill expected of you or your firm could result in your company being held liable for damages. Regardless of what professional service your Las Vegas/Clark County, NV company performs, whether your firm is a Management Consultant, Web Developer, Event Planner, Property Manager, Project Manager, or one of the many professions there are, acquiring Professional Liability Insurance Coverage is a must for protecting your firm. 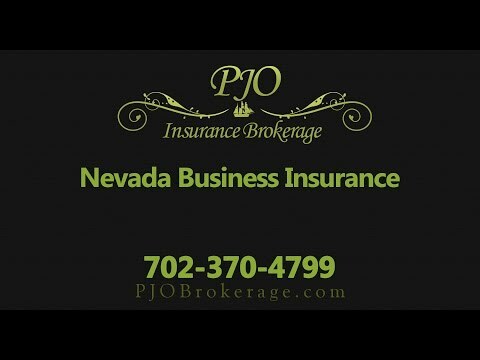 If you or your firm would like to explore ways to decrease your insurance risk factors, please contact the experienced and professional brokers at PJO Insurance Brokerage in Nevada. We look forward to working with your company to help you create a Las Vegas business insurance program for your particular company’s Professional Insurance Coverage needs.